If you have already registered for camp and now you need to pay for camp, this is the right spot for you. you can go to the "Registration" page where the registration and payment area are all done at the same time. You must already be registered for the camp before processing any payments. If you don't have a PayPal account? No Big Deal! 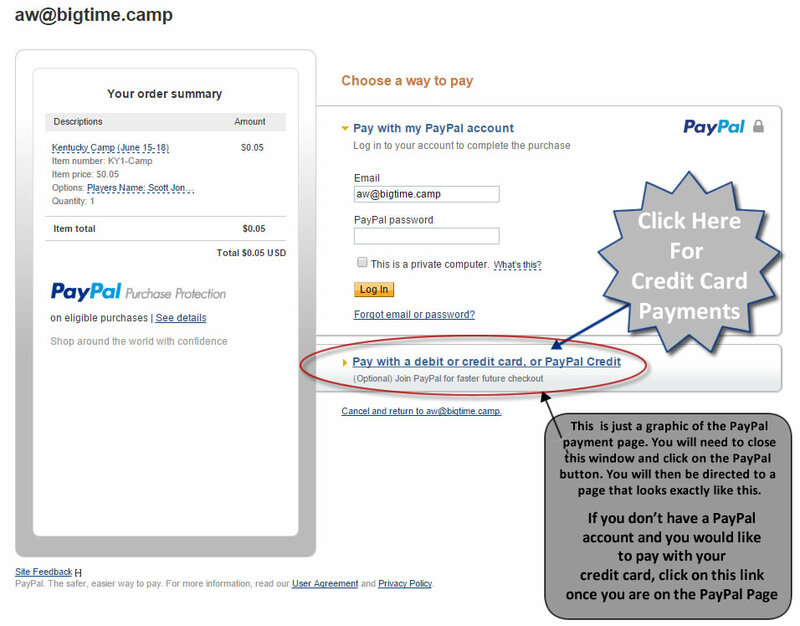 - Open the appropriate camp tab below, Click the "Pay Now" button and process using your Credit Card. Below you will find instructions on what the PayPal interface will look like and what area to click to process a credit card. These instructions are just a graphic explaining the process, you will still have to close out of the instruction page and hit the "Pay Now" button in the appropriate camp tab below.